The longest day of the year deserves a decent ride to cap it off. Out through Denchworth to Stanford-in-the-Vale, and then across to Fernham. 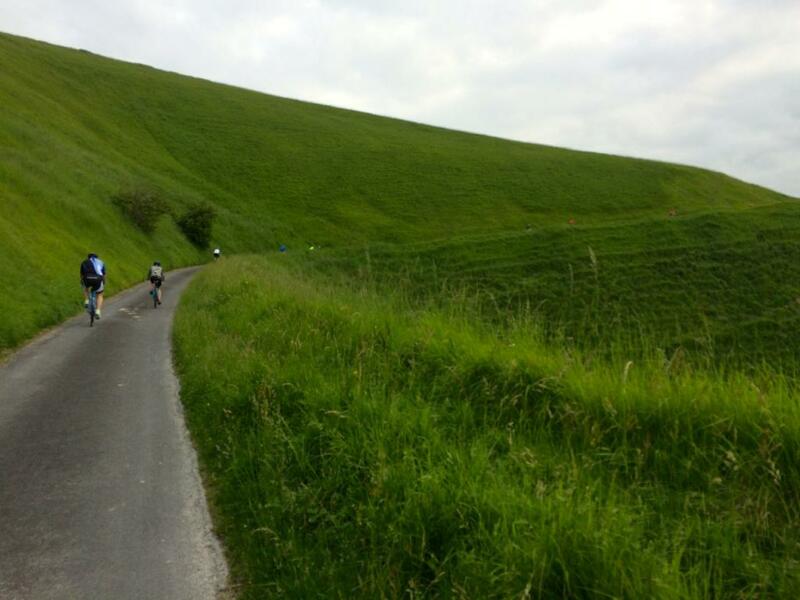 Down through Uffington before a climb up Dragon Hill to pass our signature White Horse. Back along the spring line road to Westcot, and then some back roads to Childrey. A sneaky bridle path (don't worry - it's tarmac!) cuts through to West Challow and then home via Denchworth again. 42.6k and 291m of climbing, most of which is one hill! 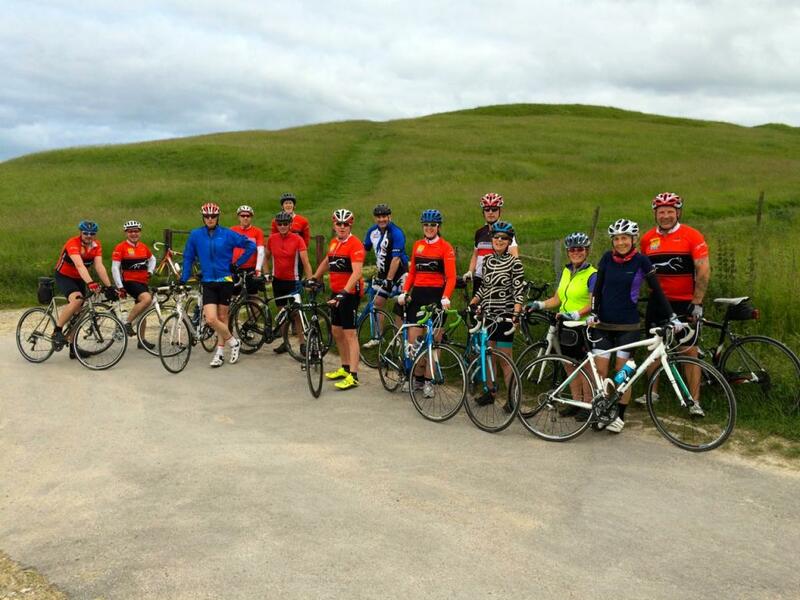 The rather grey weather didn't detract 15 enthusiastic riders from enjoying a tour of the Vale of the White Horse coupled with a trip up Dragon Hill to celebrate midsummer (delayed of course by a day because of the Leap Year). A relatively flat run through Denchworth, Stanford-in-the-Vale and Uffington culminated in the climb to the top. Well done in particular to Olivia for managing the ascent without stopping, a triumph of mind over matter. The return was via the spring line road (passing the 2* group heading in the opposite direction), and a sneaky cut-through from Childrey to West Challow before some enjoyed a Denchworth Dash en route to the finish. Honourable mention goes to Phil Stubbings, back on a 3* ride while still rehabilitating from a serious crash, and thanks go to Jon Townsin for sweeping so admirably.